I've been looking into a Safe, Reliable AWD/4x4 vehicle. 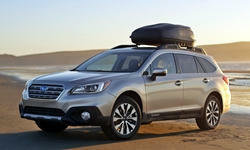 My searches have included primarily on Subaru's Outback, Forester, Honda's CR-V. It'll be maily a city car ( we get snow and ice during winter) and we do occationally camp. 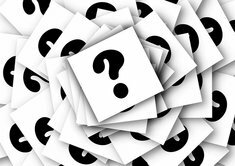 I recently was offered a deal on a 2016 Jeep Cherokee Limited (3.2L V6 4x4) for $20,000 (what CarMax offered to buy it for). It only has 6k miles on it. It seems like a good deal, but I've heard Jeep Cherokees are not very reliable for daily drivers and their safety on IIHS wasnt stellar, but not bad. Also their cargo space is on the smaller side compared to its competition. But this jeep has the premium trim, leather, heated seats, steering wheel, panoramic sunroof, Nav....some really nice things i might not get in other vehicles. Similar cars were selling at dealerships for $22k-26k depending on milagle. Seems a lot of them were all under the 60k warrenty, which makes me think people were ditching them because of maintenance. I wasn't really looking at Jeeps at all, but this seems to be a good deal. The car is practically new with 6k miles on it and only $20k while new hondas and subarus near $30k when all said and done. But Im primarily interested in Safety and Reliability. Does anyone have any recommendations? Have experience with Subaru, Honda or Jeep? Pros/Cons? Your opinion on my Jeep deal? I have owned Subarus (still own one) and Hondas. Not Jeep. I tend not to touch them because long term they don't generally last. Sure they are good for four years and 50,000 miles usually, but after that, watch out. They have electrical issues and powertrain issues. I tend to steer clear of them for that reason. You are seeing good deals on them for that very reason - most won't touch them. Don't be the one buying one unless you are okay selling the car after four or so years when the repairs start to mount. Hondas are pretty good as long as you avoid a redesign year or the second year of production. They sometimes have issues with their transmissions the first couple of years they build a new one for a model. I have owned two Honda and between the two cars over 100,000 miles on both I went through two transmissions on one (was on my third) and went through one on the other (was on my second). So lesson learned for me - don't buy a Honda V6 in the first two years of production or you are nearly guaranteed pain on the transmission (TrueDelta and Consumer Reports also show this to be true as well). Subaru's burn oil 10% of the time. My Legacy (the sedan version of the Outback you are considering, mine is a 2013) burns oil - about a quart every 2000 miles or so. That is "normal" for a Subaru so I just fill it all the time and pollute the environment. They are very reliable except for excessive oil consumption. You live with that, they will last you 200,000. Buy the newest model you can afford. Preferably one with warranty. 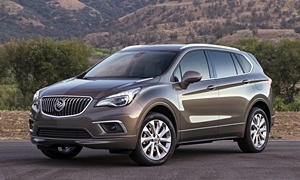 This will be the most features equipped cuv you can buy with a 4 year 50,000. New 2016 Buick Envision Premium I for sale at Abeloff Buick GMC Kia in Stroudsburg, PA for $30,390. View now on Cars.com. New 2018 Buick Envision Premium I for sale at Laria Chevrolet Buick in Rittman, OH for $34,995. View now on Cars.com. The Jeep Cherokee is very unreliable, especially in the 2014 and 2015 model years. The 2016 still was not good. So no, I don't think the deal is good. Maybe for $15k. The first red flag is looking at how many Cherokees were traded in that have less than 10k miles. There are a lot... very fishy. The transmissions are known to fail within the first 30k miles. I wouldn't keep dumping money into new transmisisons every 30k miles. 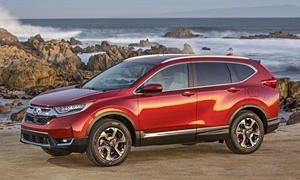 You'll be paying around $8k in repairs with the Cherokee, so why not get a CR-V, the better SUV? The 2017 CR-V had a few first year issues, but nothing major. The 2018 looks much better. 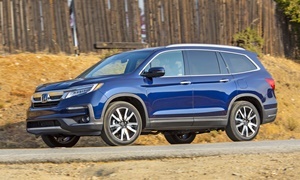 Safety features are widely available on the CR-V, but not standard. The Toyota RAV4 has every safety feature standard and will be the most reliable small SUV. 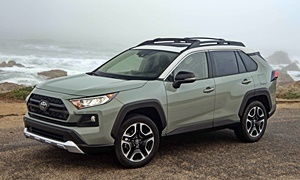 It just doesn't drive as well as the CR-V, but you may find discounts for it as it is about to be replaced by the new 2019 RAV4. So why are people ditching their Cherokee's with so few miles? In short the transmissions have been a nightmare kludge of unreliability. Even though they are under warranty it doesn't matter Jeep just can not get the transmissions to work well. You DO NOT want to join this. Just steer clear and move on. So I do have a question? How long are you going to keep this car? If you're talking about 60k-90K miles... honestly I think Buick envision, Toyota rav4, Honda CRV, it does not really matter. If you want it for the long haul. 150K+ I would get the RAV4. It's the last year which means they've worked out just about _ALL_ the kinks. It is naturally aspirated so you don't have to worry about a turbo rebuild at about 100k miles. It has an automatic transmission instead of a CVT. That means _IF_ something goes wrong, it can be fixed. If a CVT goes out... it's a replace only thing. A dual clutch automatic is cool, but honestly once again is just more wear parts to go out on an already complex mechanism. So yeah... RAV4 for the long haul.